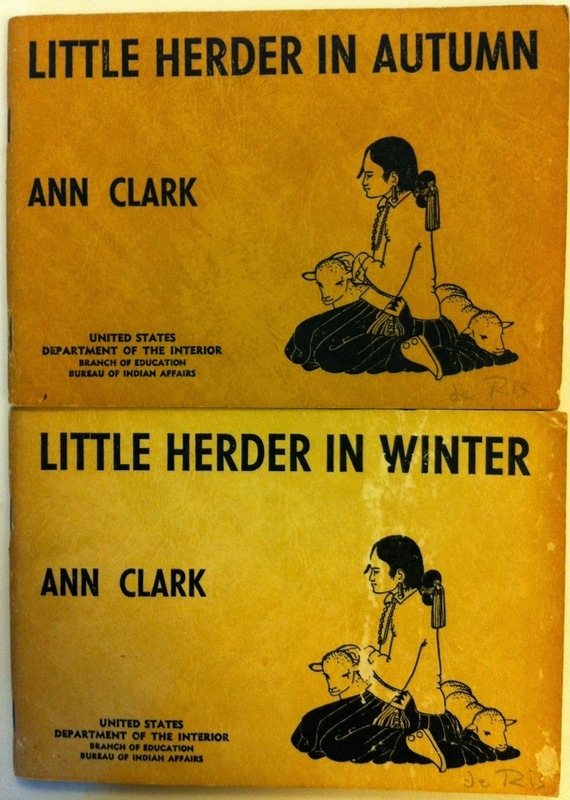 Check out the new addition to P&PC's library—a set of four paperback children's books (Little Herder in Spring, Little Herder in Summer, Little Herder in Autumn, and Little Herder in Winter) written by Ann Nolan Clark (1896-1995) and first published by the Bureau of Indian Affairs in 1940. 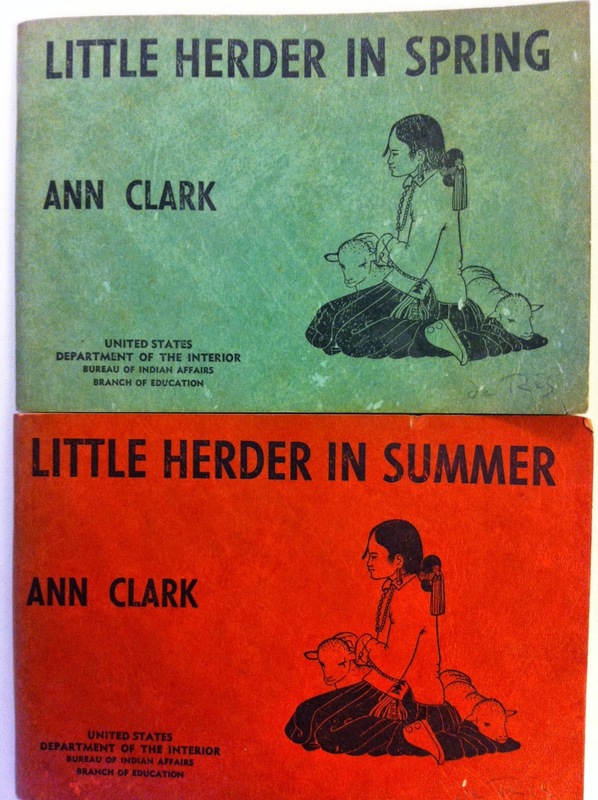 According to Wiki, Clark was born in Las Vegas, New Mexico, and in the early 1920s began teaching children to read at Bureau of Indian Affairs schools. 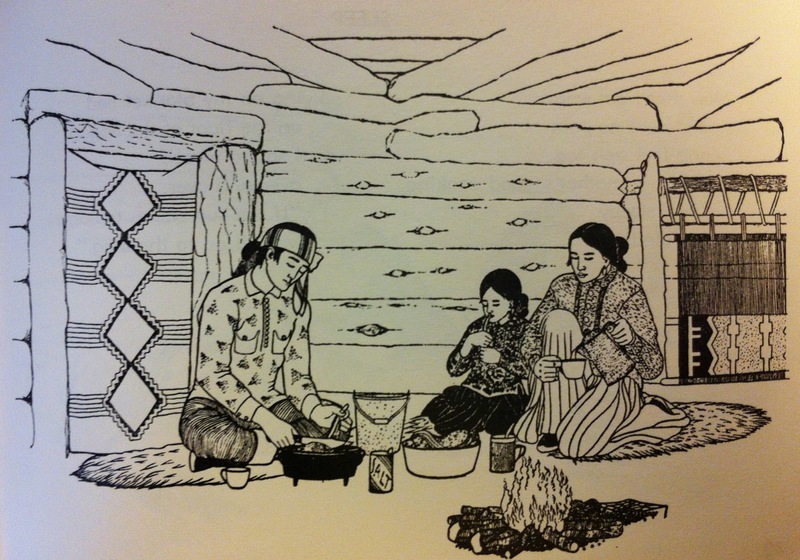 At the Tesuque School in New Mexico, Clark discovered that there weren't enough funds for sufficient instructional materials at the one-room schoolhouse she led—let alone materials that spoke to her Indian students' lives, experiences, and language—so she started writing her own. Thus, the Little Herder series. (The version of the series shown here is English-only, though bilingual versions were published too.) 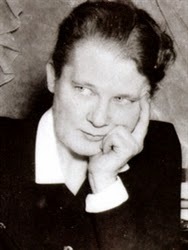 Clark would go on to write over thirty books including Secret of the Andes, which came out of a five-year stay training native teachers in South and Central America, and which would receive the 1935 Newbery Medal. For her work and her advocacy on behalf of Native American peoples, she received the Bureau of Indian Affairs Distinguished Service Award in 1962.
Who knows when we can buy them back. I look at my mother's finger. in our round tin bowl. a kettle full of boiling fat. is bigger now than I am. Not all the poems in the Little Herder series are so dark, but the P&PC interns suggested this sequence stood out from the children's literature of their own youth for its refusal to look away from the realities of lived experience. 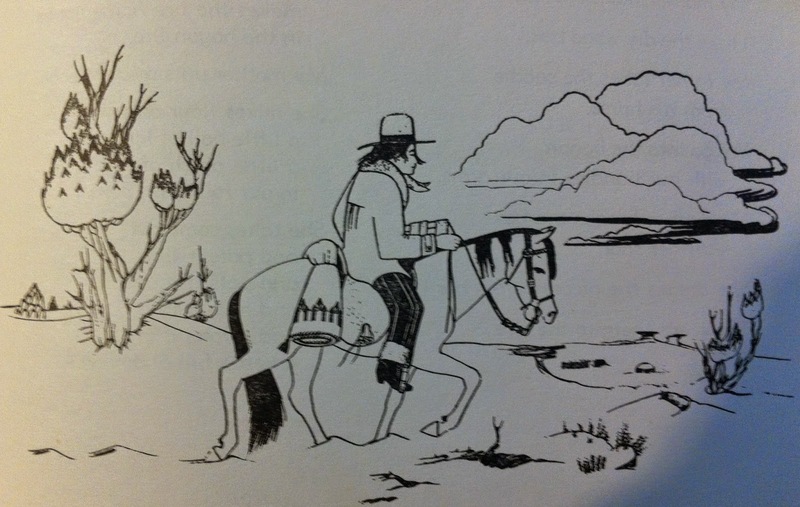 No Horton Hears a Who!, Clark's books (that's Clark pictured here) don't distract the child from the lived experience of his or her life as a Navajo child but record and reflect and thus legitimize it. 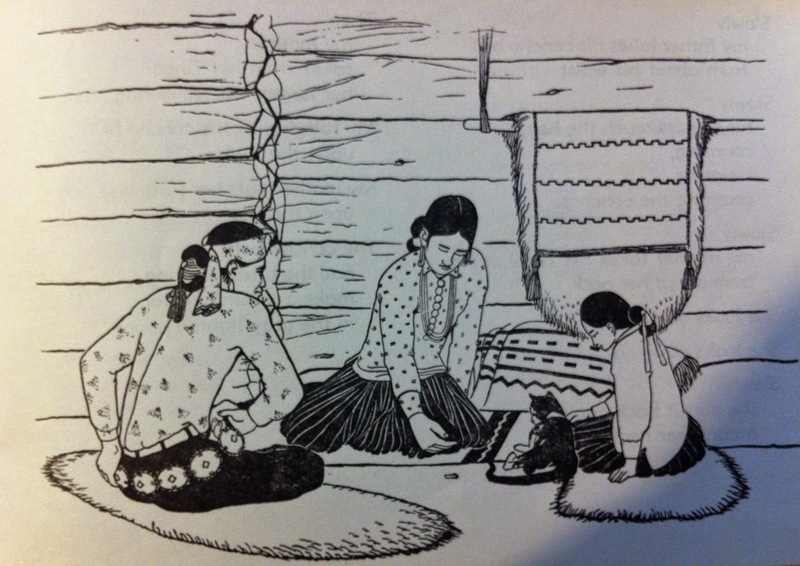 There are also joy, beauty, handcrafts, and even "sheep dipping" (a husbandry process meant to kill lice and ticks). 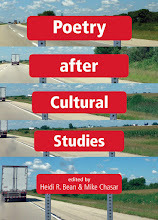 These days, we oftentimes think of documentary poetics as a turn taking place in literary spheres, but Clark reminds us that its roots aren't just in the 1930s-era world of Muriel Rukeyser and Langston Hughes. They go much deeper in the curriculum as well.